Researchers have decoded the science behind the popular childhood activity of blowing soap bubbles -- a finding that may help improve products like sprays and foams. Researchers have decoded the science behind the popular childhood activity of blowing soap bubbles -- a finding that may help improve products like sprays and foams. In a series of experiments replicating bubble blowing, researchers at New York University (NYU) discovered two ways in which bubbles can be made: one, by pushing with a steady but strong wind on a soap film through a circular wand, which causes it to grow into a bubble, and two, by pushing with a gentle wind on an already-inflated film in order to drive its further growth. "This second method might explain how we often blow bubbles as kids: a quick puff bends the film outward and thereafter the film keeps growing even as the flow of air slows," said Leif Ristroph, assistant professor at NYU, who led the study. "This is used by the bubble blowers we see in parks in the summertime," said Ristroph. "They simply walk, sufficiently fast, it seems, with a soapy loop of rope, which provides the relative wind needed to stretch out the film," he said. 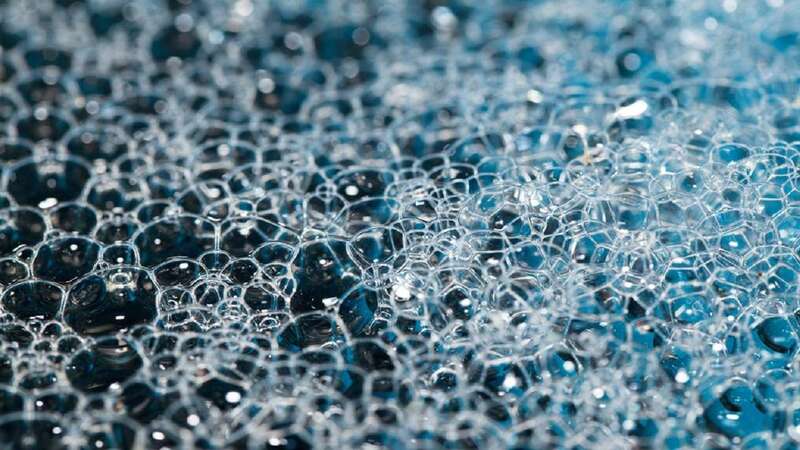 The results, published in the journal Physical Review Letters, point to potential applications in consumer products that contain bubbles or droplets, such as sprays, foams, and emulsions, which are combinations of unmixable liquids. As a physics problem, blowing bubbles is a question of how a liquid film -- typically soapy water -- interacts with an imposed flow of an external fluid, which is air in the case of bubble blowing. This dynamic is crucial in understanding how to enhance industrial production of many chemical products. To break down the science that explains this process, the researchers created an experiment, replicating the blowing of bubbles, using oil films suspended in flowing water and pushed through a wire loop wand. "Working with water instead of air has many advantages in terms of controlling, measuring, and seeing flows. This is the trick that made these experiments possible," Ristroph said. Their experimental observations, combined with predictions drawn from mathematical models, allowed the researchers to understand the forces that produced the resulting film shapes. The findings give a precise recipe or set of instructions for how to blow bubbles -- and with it, related production processes. "We can now say exactly what wind speed is needed to push out the film and cause it to form a bubble, and how this speed depends on parameters like the size of the wand," said Ristroph.